Romans 8:15-18: For you did not receive the spirit of slavery to fall back into fear, but you have received the spirit of sonship. When we cry, "Abba! Father!" it is the Spirit himself bearing witness with our spirit that we are children of God, and if children, then heirs, heirs of God and fellow heirs with Christ, provided we suffer with him in order that we may also be glorified with him. I consider that the sufferings of this present time are not worth comparing with the glory that is to be revealed to us. 1 Peter 4:13: But rejoice in so far as you share Christ's sufferings, that you may also rejoice and be glad when his glory is revealed. 1 Peter 5:8-9: Be sober, be watchful. Your adversary the devil prowls around like a roaring lion, seeking some one to devour. Resist him, firm in your faith, knowing that the same experience of suffering is required of your brotherhood throughout the world. Luke 5:35: The days will come, when the bridegroom is taken away from them, and then they will fast in those days." Mark 9:27-28: And when he was come into the house, his disciples secretly asked him: Why could not we cast him out? And he said to them: This kind can go out by nothing, but by prayer and fasting. Matthew 6:16-18: And when you fast, be not as the hypocrites, sad. For they disfigure their faces, that they may appear unto men to fast. Amen I say to you, they have received their reward. But thou, when thou fastest anoint thy head, and wash thy face; That thou appear not to men to fast, but to thy Father who is in secret: and thy Father who seeth in secret, will repay thee . Lent - A name which means springtime, a time of new growth, a time for getting in shape spiritually. The Catholic Church has chosen fast and abstinence as the method for doing that. 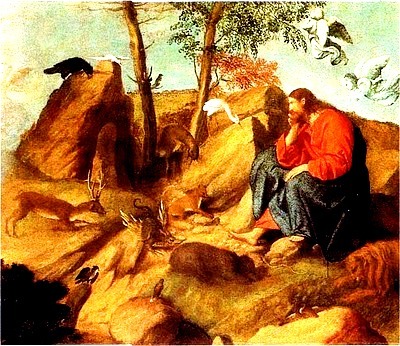 In so doing for 40 days of Lent (Sundays in Lent do not count), the faithful imitate Christ's fasting in the desert for 40 days, which occurred immediately after his baptism. 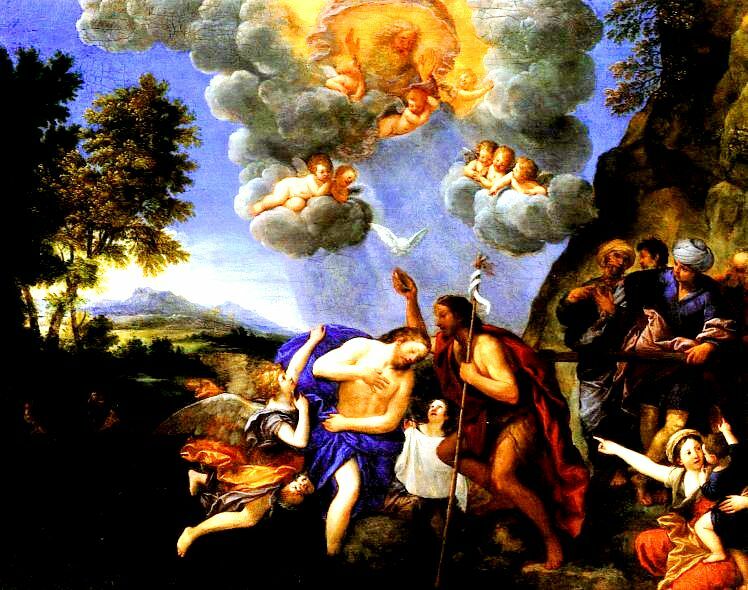 At the baptism of Jesus, the Holy Trinity was manifested on earth all at once - The Father spoke out loud, the Holy Spirit descended like a dove, and Jesus was in the Jordan River. So what are the exact rules to follow during lent? Good Friday and Ash Wednesday are the major days for fasting in general for those who have reached the age 18 and are not yet 60. Abstinence means no meat on those days for those who are age 14 or over. General canon law says that all Fridays are days of abstinence -- no meat -- but if you want to eat meat, you should substitute some other form of penance. 1438 The seasons and days of penance in the course of the liturgical year (Lent and each Friday in memory of the death of the Lord) are intense moments of the Church's penitential practice. These times are particularly appropriate for spiritual exercises, penitential liturgies, pilgrimages as signs of penance, voluntary self-denial such as fasting and almsgiving, and fraternal sharing (charitable and missionary works). 1969 The New Law practices the acts of religion: almsgiving, prayer and fasting, directing them to the "Father who sees in secret," in contrast with the desire to "be seen by men." Its prayer is the Our Father. 2043 The fourth precept ("You shall observe the days of fasting and abstinence established by the Church") ensures the times of ascesis and penance which prepare us for the liturgical feasts and help us acquire mastery over our instincts and freedom of heart. The faithful also have the duty of providing for the material needs of the Church, each according to his own abilities.